The 10th SC&T Weekend Wide Game (WWG) saw the armies of the Horde and Alliance wage war across Cataract, with various monsters mostly doing their best to stay out of the way – although the usual suspects simply attempted to crush the invaders. In WWG X, the Rovers of the SC&T paid homage to a popular MMORPG, and temporarily turned Cataract Scout Park into a land under siege. With an attendance of 47 Patrols (some 250 Scouts and Guides) it was easily the biggest Wide Game yet. Counting Leaders and Rover, nearly 400 people were involved in the event – hosted by representatives from 7 Rover Crews, all responsible for helping things run smoothly. To further complicate matters, this was the first fully “technology enabled” WWG, with barcode scanners and mobile computers (on loan from Branch) used to record scoring and assist in the running of the bases themselves. This experiment worked well, greatly reducing the strain on those responsible for running bases and collating points at game end. Each Patrol was assigned the task of conquering as much land as possible for their respective Factions, all the while protecting their own headquarters. The key to this task was securing the various landmarks and structures that dotted the landscape. It was in these areas that the challenges began. Patrols could farm for Gold, attempt to master the Black Cauldron, hire mercenaries at Blackwater Base, raid the Cave of Wonders, or steal from Dragons at the Lonely Mountain – yet the two most popular bases were undoubtedly the Black Knight and Castle Siege. The Black Knight was a combat arena, where Patrols could duel one another, or if they were confident, attempt to challenge the Black Knight himself. Despite the fact that the “weapons” were foam-wrapped canes, the duels were enthusiastic and taken very seriously – one of the more serious combatants so impressed our “Black Knight” that he was awarded the Black Knight’s sword at the end of the game. The other popular challenge was the Castle Siege, a base complete with working Trebuchet manufactured by Warilla Rover Crew. Those able to breach the castle “walls” were awarded control of the base – but only as long as they could then hold out against other attackers. Venturers played the role of Monsters, serving as means to gather loot and experience – if the Patrols could catch them. Rovers and Leaders played the role of Menaces, high-powered creatures that posed a serious threat to those they caught. Both these creatures participated in their own competition, earning points for visiting each base. The sheer number of attendees was a challenge for the WWG team’s systems to handle, but it must be said that the event was carried off in style by the Rovers and their helpers. Enthusiasm and creativity abounded, and the Scouts and Guides responded to the possibilities of the event. It has been suggested that the measure of a good Scout camp is how tired the kids are at the end of it – by that measure alone, WWG X was a resounding success! The wooden spoon award (this year granted to the Patrol with the lowest positive score) went to 1st Bulli. 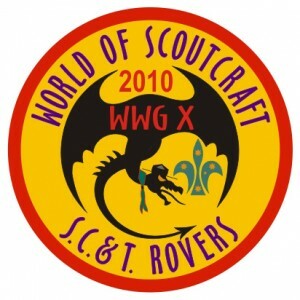 The Rovers of the South Coast and Tablelands wish to extend a heartfelt “Thank You” to the Venturers and Leaders who contributed their time and effort in helping WWG X be a success.